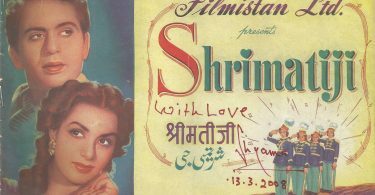 MV Raman, who brought Vyjayanthimala to the silver screen with the Tamil film Vazhkai (1949), remade the film as Bahar (1951) introducing her to Hindi audiences. The film was also the great AVM studio’s first foray into the Hindi language and proved to be a hugely successful film at the box office, leading to a spectacular movie career for Vyjayanthimala. However, it has to be said the film has not held up well at all down the years, and apart from the inane screenplay telling a terribly old-fashioned story, much of the eye-popping theatrical acting appears quite corny and laughable, particularly a weepy Pandari Bai suffering her way through the film as a naïve village belle seduced by the city slicker villain, Pran, and thereby becoming an unwed mother. If at all, there is a positive in the otherwise dated story, it is the attitude of the heroine’s father and the way he has brought her up, declaring that if she were to get married, it would only be to a man of her own choice. Vyjayanthimala, in a totally undemanding role, was all of 17 or so when Bahar came out and looks it thus making her pairing with the 34 year old Dewan look odd and, in fact, quite silly. She is nevertheless the brightest spot in the film and does bring it to life with her free-spirited charm and, of course, her dances, something new for North Indian audiences then. With Bahar, Ladki (1953) and later, Filmistan’s Nagin’s (1954) stupendous success,Vyjayanthimala became the first South Indian actress who made it as a pan-Indian star and went on to become one of the most popular Hindi Film female stars ever in a career lasting more than two decades. Besides her ability as an actress, which was considerable, her greatest legacy to Indian cinema perhaps is that it has become a must today for any aspiring actress in Indian Cinema to be an accomplished dancer. She also set the stage for other actresses from the South like Padmini, Hema Malini, Rekha and Sridevi to enjoy successful careers in Hindi filmdom. Dewan, who had a successful career as a leading man including the super hit Rattan (1944), besides films like Chaman (1948), Lahore (1949), Chhoti Bhabhi (1950), Dahej (1950) and Pardes (1950), lacks screen presence and makes for a rather weak and insipid hero. His career as a hero, having begun in the early 1940s, lasted pretty well till the mid-1950s. What’s more, he was known as a ‘jubilee star’ – due to the large number of hit films he acted in – well before Rajendra Kumar, who had his dream run between 1959 and ’66, wherein everything he touched turned to gold at the box-office. Pran is suitably slimy and Om Prakash fine enough in his supporting role. Besides Vyjayanthimala’s dances, a major reason for the film’s success is SD Burman’s extremely catchy and hummable music. 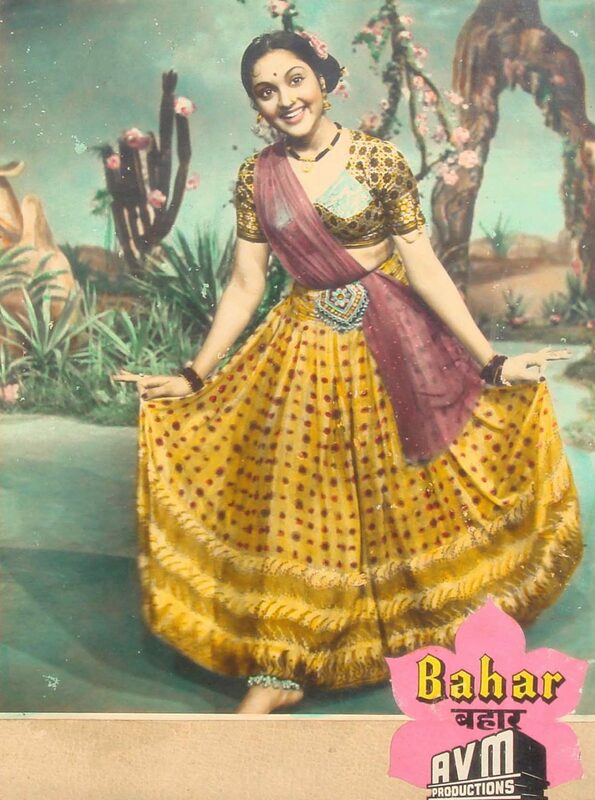 Along with Shabnam (1949), Bahar is one of those rare films where Burman Dada uses Shamshad Begum as his main female singer. Shamshad more than delivers with some of her most popular songs like Duniya Ka Maza Le Lo, Kusoor Aapka, Chhodoji Chhodoji Chhodoji Kanhaiya Kalhai Humaar, O Pardesia and the icing on the cake – Saiyan Dil Mein Aana Re, one of her all time best songs. Kishore Kumar has an early hit with the male version of Kusoor Aapka while Geeta Dutt makes a solid impact with her two weepy solos on Pandari Bai – Sataye Hue Ko Satati Hai Duniya and Bhagwan Do Ghadi Zara Insaan Banke Dekh. Overall, the film is memorable for being a spectacular debut for Vyjayanthimala in Hindi films and its musical score. It has little else going for it.